The British Art Show 5 was curated by Pippa Coles, Matthew Higgs and Jacqui Poncelet. Over ten months, the exhibition was shown at multiple venues in the following cities: Edinburgh, 8 April - 4 June 2000, Southampton, 23 June - 20 August 2000, Cardiff, 8 September - 5 November 2000, and Birmingham, 25 November 2000 - 28 January 2001, As with the publications accompanying other manifestations of the British Art Show, this was a substantial catalogue. “Organised by the Hayward Gallery as part of its National Touring Exhibitions programme, The British Art Show is the most ambitious exhibition in that programme and, on a consistent basis, nationally. Over the twenty-five years of its history, it has been unrivalled in its scope and unprecedented in its outreach, occupying, especially in its recent manifestations, galleries and other spaces across each city on its tour, and reaching hundreds of thousands of people. Each artist was represented by a short biography and images or text relating to their practice, over two pages. 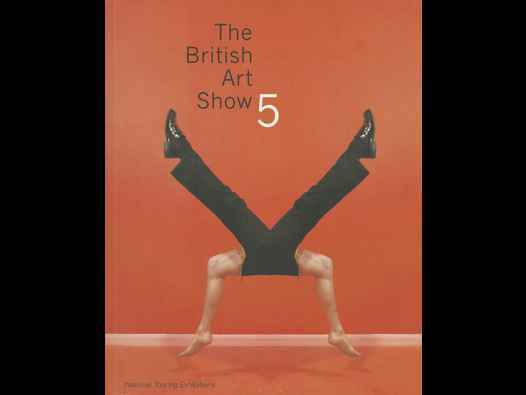 The essays by Matthew Higgs and Tony Godfrey were illustrated with a range of images relating to artists and to the previous manifestations of the British Art Show.